On Day 55 anniversary of manned space flight, of course all thinks about way to stars. And in general, for a long time I had twisted the idea that the current level of technology the most feasible interstellar transport is the asteroids. 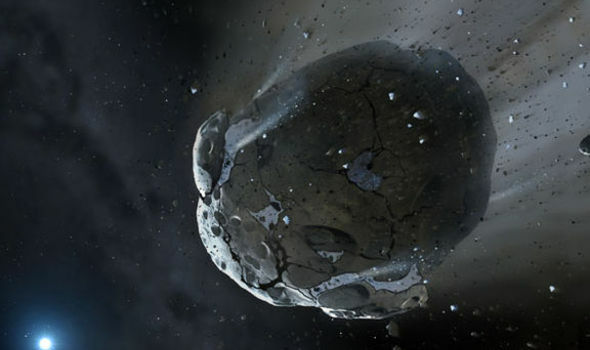 That is, we take a small asteroid - 2-3 km, to hang it of nuclear engines and in a very real settlements. 1. The huge supply of the working fluid for nuclear engines - will allow a small but constant thrust to accelerate the asteroid considerable speed, maybe even to the percent of light. This allows fast enough (for decades) to reach the nearest stars with planetary systems.